EarthKind® knows natural solutions can solve most of life’s little nuisances. We hope you’ll follow and share these tips with your family and friends who are also interested in reducing their reliance on chemicals. 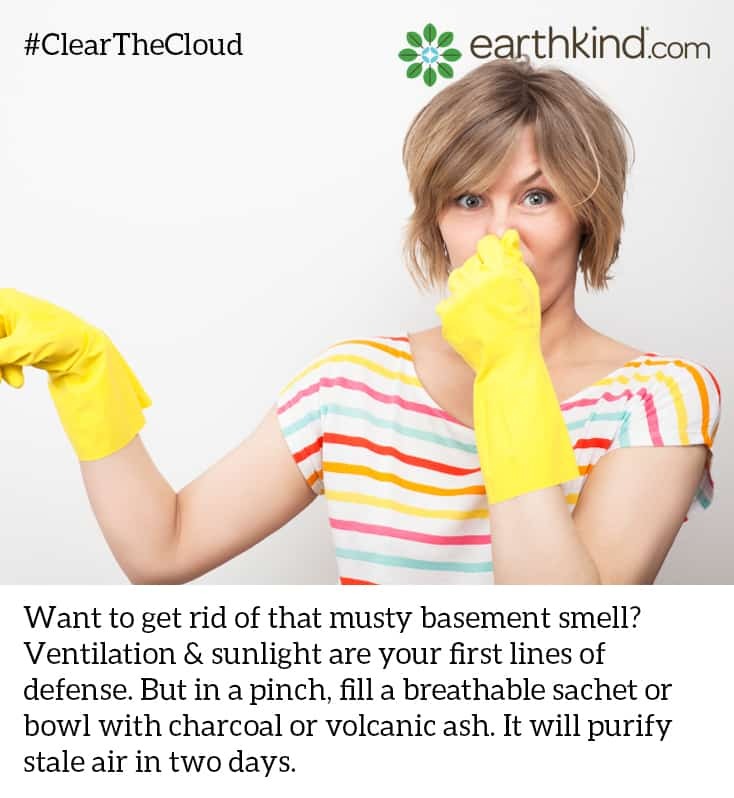 Thank you for helping us #ClearTheCloud of dangerous toxins in the home! Many of us suffer from painful cold sores that mysteriously occur after the virus “wakes up” and infects the skin around the lips and mouth. The most common triggers are stress and fatigue; sun exposure; hormonal changes; a fever or cold; and exposure to cold temps. Cold sores often take a week or more to disappear; they become painful and even contagious! The good news is that if you catch it in time with this tip – the outbreak can be gone in two days! 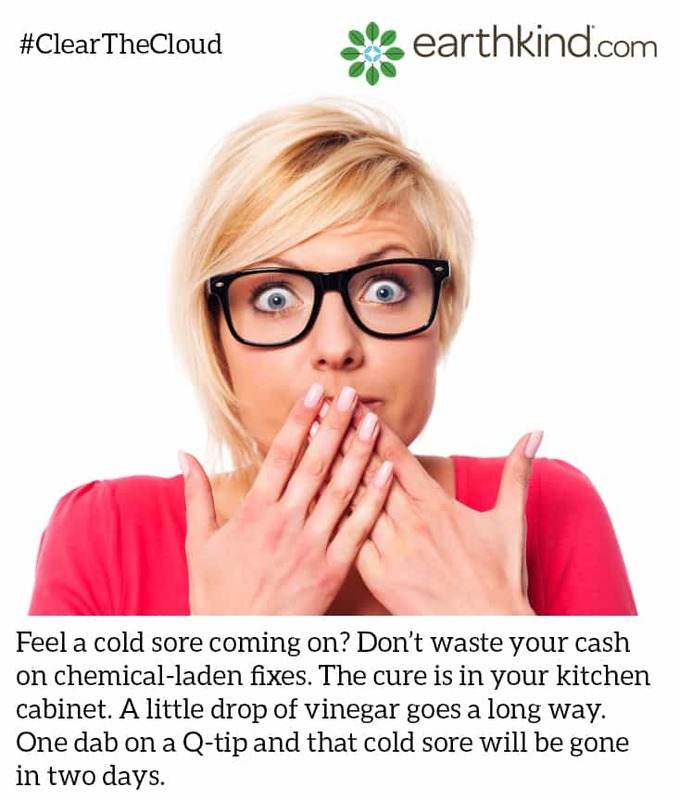 I’ve been a long time cold sore sufferer, and used every remedy possible until I heard of this magic tip passed down from my mother-in-law, Lucille. It’s been reliable for myself and my family for decades now! Fight fungus with tea tree oil. Athlete’s foot is a common skin infection that takes up residence on the webs of the toes and soles of the feet. You’ll know you have it when the itching, burning, pain and scaling start. It can even spread to the palms, groin and body if left unchecked. So, how does it make its way to your home? The infection spreads through direct contact with contaminated surfaces or objects. Once it gets established, it usually spreads from person to person via a shower floor, because the fungus that causes athlete’s foot requires a warm, dark and humid environment to grow, like a shower! As a mother of a high school athlete, and a farm dweller with a drain field septic system, we always had a steady supply of foot fungus, plus the inability to use chemical treatments that would contaminate our drain fields. So, I found this natural anti-viral and anti-bacterial remedy worked reliably and safely. Over the years, I’ve found that it also kept our shower floor mildew free! I preferred using distilled water because it was less likely to clog the sprayer nozzle over time. 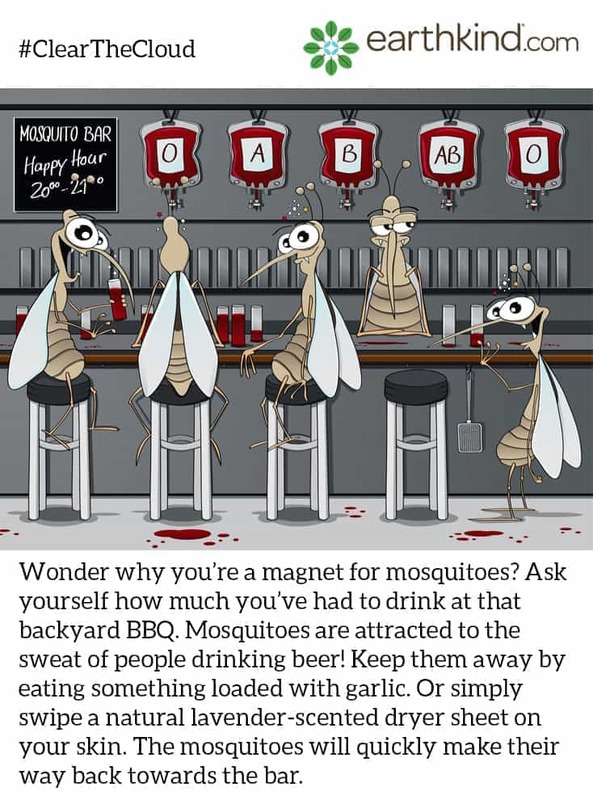 It’s hard to know what to believe when it comes to protecting oneself from mosquitoes. Remedies are as ancient as the earth itself, and they vary from place to place. 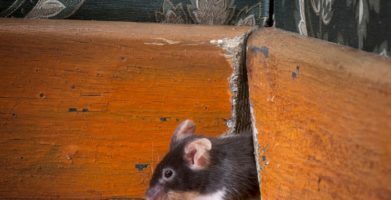 As the daughter of an entomologist, I got a head start on this dilemma from a young age as my father worked to balance sound science with pest behavior in his problem solving. Over the years, the most easy and effective natural remedies were found right in our home, and just required a little forethought, like using a lavender-scented dryer sheet as a natural deterrent, or steering clear of beer and sweating which both attract mosquitoes. 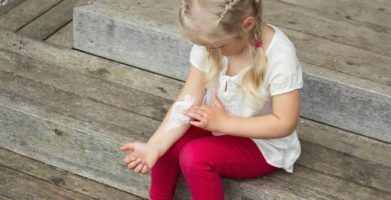 Recently science has learned something new about what makes some of us more likely to be bitten than others, such as the aroma of lactic acid in our sweat that mosquitoes find irritable. Learn more in a recent article in The Conversation. Yuck. Musty basement smell. First off, you need to be a detective and figure out what the smell is and where it’s coming from. Your first defense should be sunlight and fresh air ventilation. If that isn’t possible, try to absorb excess moisture with charcoal (not the kind with lighter fluid on it), volcanic ash, or kitty litter as a last resort. Each can be placed in an empty margarine container or breathable sachet bag, as most often a musty smell comes from excess moisture or high humidity. A fan will help circulate the air through the sachets, or open surface of the absorbent. Toss away every few days and repeat as needed. My personal favorite is zeolite. Zeolite was formed over millions of years as volcanic ash was slowly crystallized when it was exposed to alkaline water. Within its naturally formed honeycomb structure is a negative charge that naturally attracts positively charged ions like odor molecules. Over a few days, they will neutralize! Remarkably, zeolite is able to absorb moisture and gas molecules that total about 65% of the weight of the zeolite itself! If the odor persists after treatment, you should call in a professional – as it won’t go away on its own. If left alone, it could get worse and grow into black mold, which is extremely hazardous to your health. Click here for more info on dealing with mold & mildew in your home. Athlete's foot is a common skin infection that takes up residence on the webs of the toes and soles of the feet. You’ll know you have it when the itching, burning, pain and scaling start. It can even spread to the palms, groin and body if left unchecked. So, how does it make its way to your home? The infection spreads through direct contact with contaminated surfaces or objects. Once it gets established, it usually spreads from person to person via a shower floor, because the fungus that causes athlete's foot requires a warm, dark and humid environment to grow, like a shower! string(76) "From Mosquitoes to Musty Basements: Natural Solutions for Life’s Nuisances"